We were contacted by Rothschild Global Advisory in mid-August 2016 and asked to undertake a confidential, fast turnaround, video and interactive project at very short notice to support the sale of the Oasis Dental Care group of dental practices (which has now gone public). The project consisted of filming at 10 locations in England and one in Dublin, Ireland. 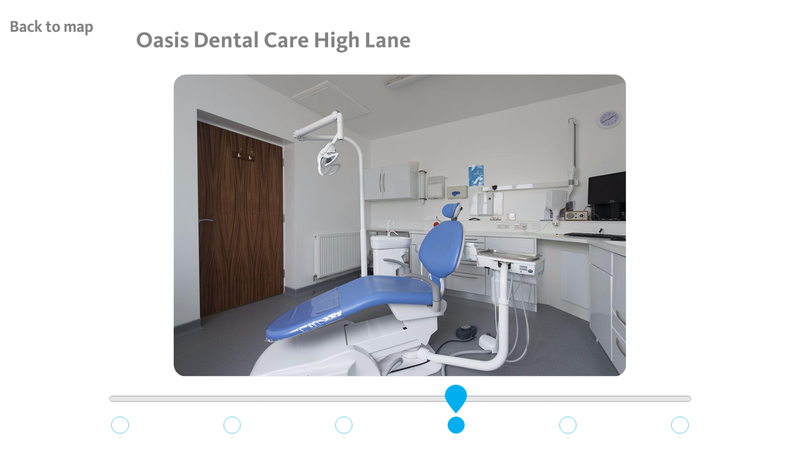 This resulted in 10 3-5 minute videos, each from a different dental practice, featuring interviews with staff and footage of the practice. There were two additional talking head videos, with the marketing director and the chief executive of Oasis. 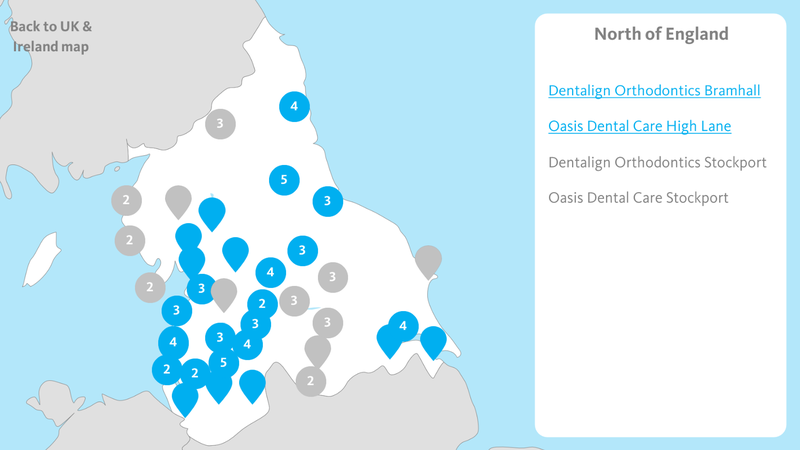 We were also asked to create an interactive map, accessible online and featuring the videos we made, showing the locations of all 360+ practices, 177 of which also featured photo galleries. When the chief executive of Oasis saw some of our footage he also commissioned three further videos, each around 1 minute long, using the footage we had already filmed, to use in a presentation he was giving. We delivered these extra videos within 2 days of the request without it impacting on the progress of the main body of work. Many of the interviewees had not been briefed or had only found out that day that they would be interviewed so our film crews had to be encouraging and draw on their patience and compassion to get the best out of each person. We also had to be discreet about the purpose of our filming as most of the interviewees and practice managers did not know about the upcoming sale of the company. While the editing was taking place, we worked on developing the interactive map. To create this we used Articulate Storyline 2, a rapid authoring tool usually used for e-learning but useful for this project as it provides a professional approach to interactivity and can output to HTML5. We delivered the first set of videos by September 16th and the remainder, with the interactive map, by September 21st. The videos were cleared by the client, with no amendments requested. However, had any changes been required, there was plenty of time left before the deadline in which to make them. We are very proud of this collection of videos as we feel they demonstrate our best qualities – high technical ability, logistical and production dexterity, location interviews with powerful, credible and relevant soundbites supported by creative illustrative footage and produced against a challenging deadline and to the agreed budget. The White Hart team were mandated to deliver an interactive media program for us under a very tight deadline. From the planning process through to the editing of the final videos, the White Hart team were very professional, communicative and technically proficient in their work. The final materials were of a very high quality and we were extremely pleased with the results.